This fantastic apartment to rent is located in the very popular Andalucia complex in the more exclusive area of Torviscas, in Las Americas. 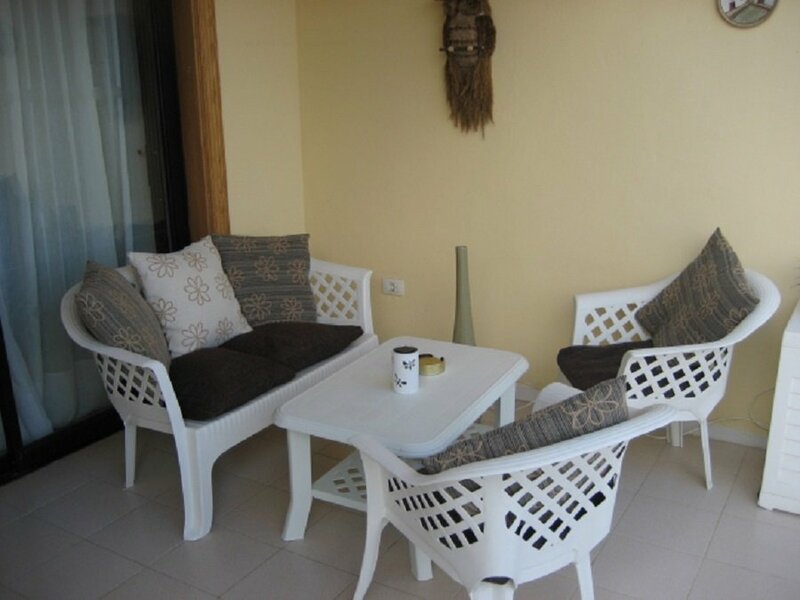 A large sunny balcony and wonderful sea views await you! This fantastic apartment to rent in the complex of "Andalucia Balcony" enjoys spectacular sea views from the huge double sunny balcony. 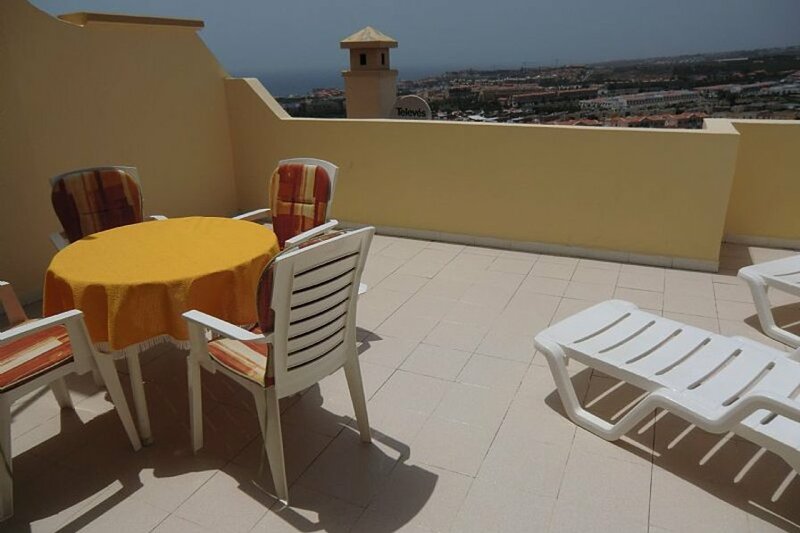 Andalucia Balcony is a very popular complex located in the more prestigious area of Torviscas Alto in Las Americas. The complex has everything a holiday maker requires - 2 pools (one heated), bars, restaurants, a supermarket, 24 hour reception and a lot more too! 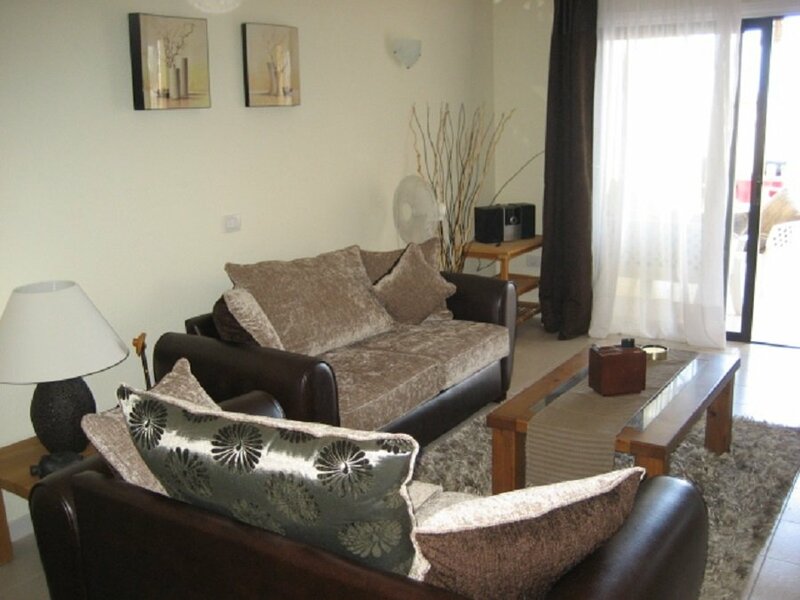 This 1 bed apartment to rent is comfortably furnished benefiting from a modern, well equippred kitchen, a large bathroom with walk-in shower, twin bedrooms and a well furnished living area with patio doors to the balcony. A real feature of the apartment is the huge sunny balcony where you can stretch out and relax in all day sunshine whilst enjoying gorgeous sea views. 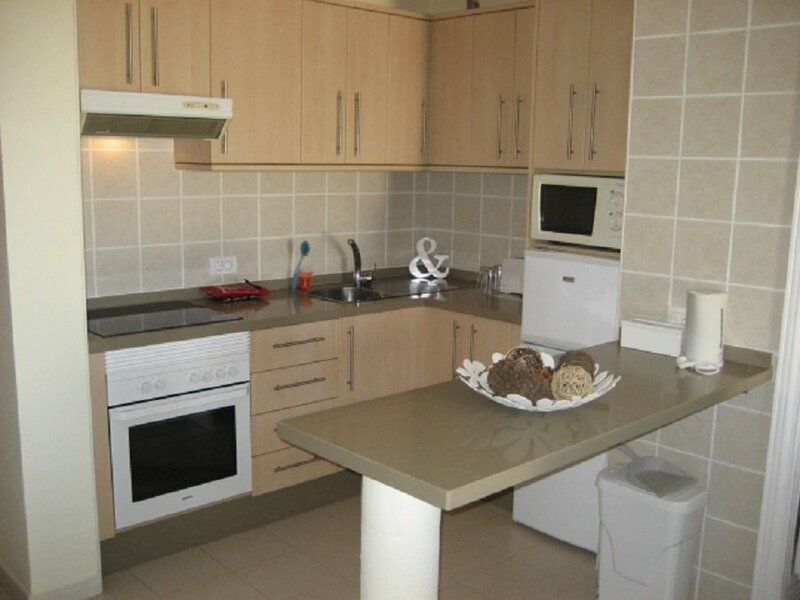 Kitchen: Modern and well equipped including, oven, hob, microwave, fridge / freezer, washing machine. Breakfast bar separating kitchen from lounge. Living room: 2 x sofas, satellite TV, Patio doors to large balcony. Bedroom: Twin beds, fitted warbobes. Patio doors to balcony. 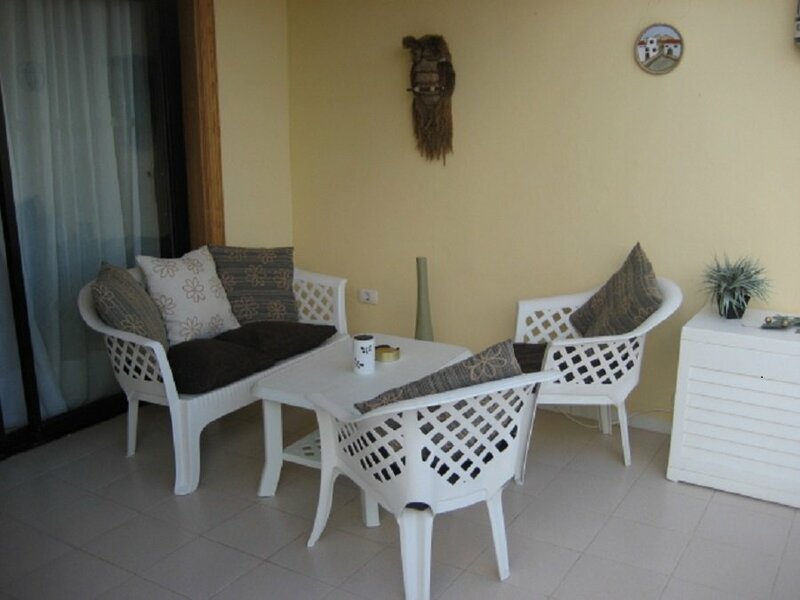 Balcony: Table and 4 chairs, 2 sun beds. 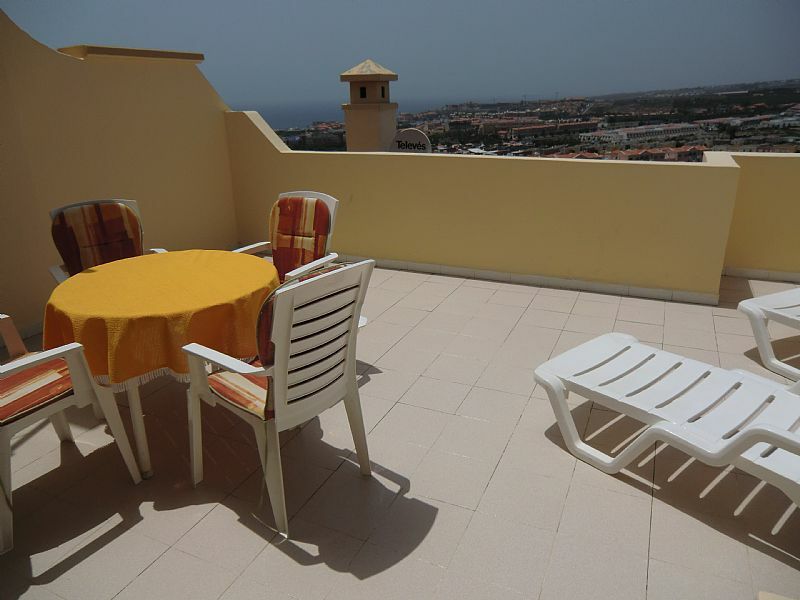 Spectacular views over Las Americas the sea. Beautiful sunsets. Complex: Jacuzzi / Hot tub, 2 swimming pools (one heated), bar, restaurants, 24 hour reception. Housekeeping: Linen and towels provided. Just 20 minutes from Tenerife South airport. 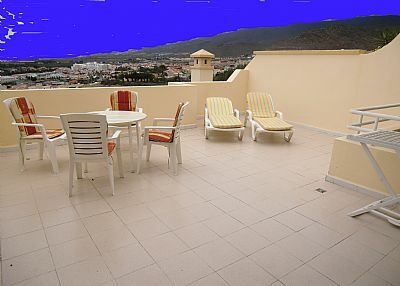 The Andalucia Balcony is brilliantly located with everything that Las Americas has to offer within walking a 10-15 minute walk. You can walk to the exclusive Del Duque area with its designer shops and gorgeous sandy beach. The property is looked after by a local English speaking management company whos details will be provided to you. Airport transfers can be arranged at very competitive rates. The property can sleep 3 people. The price is based on 2 guests. For a third guest there will be a supplement of £50 per week. A return stay by me tells you it was everything I needed it to be. 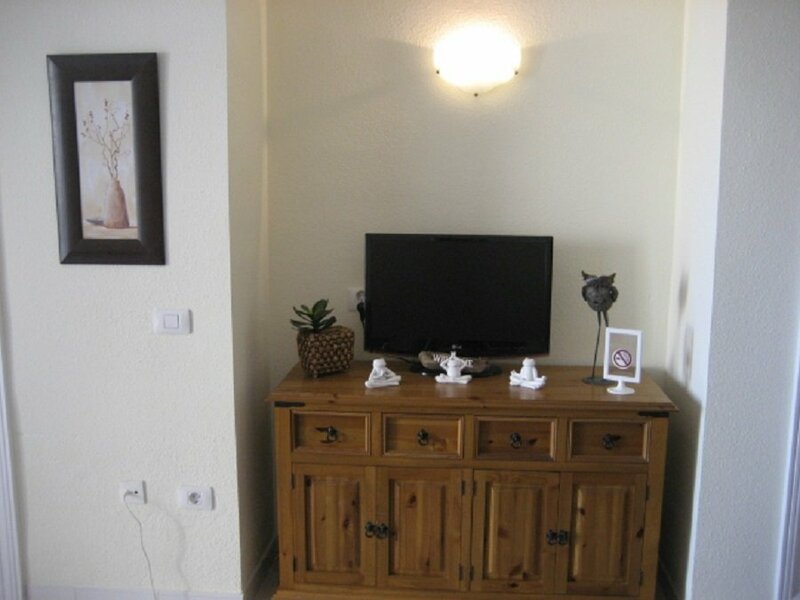 The facilities of the apartment and complex are very good. The Sun shines on the balcony all afternoon, but l think it's time to replace the faded cloth Sun Lounger cushions with new hygienic water/washproof ones. And the Sun damaged outdoor clothes dryer and clothes pegs have seen better days. Thank you for the 5 star review. I am very glad you were happy. Thanks for the feedback about the faded items on the balcony - the downside of having a lovely sunny balcony I suppose! I will looking into that and get it resolved for future guests. 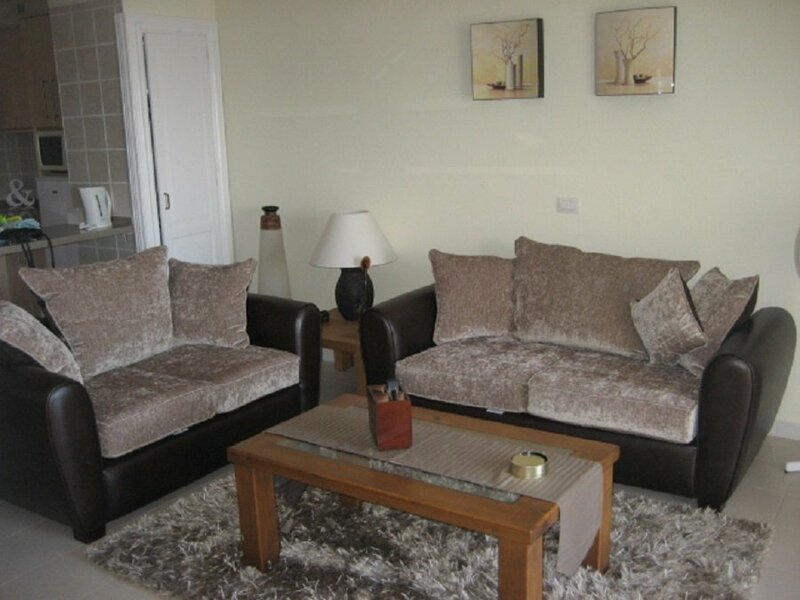 Lovely clean apartment with superb views. Great shower with good water pressure and a bonus to have English television for nights in. It would have been a perfect stay but we found the beds to be uncomfortable and feel they really need to be replaced with better quality mattresses! However we had a pleasant stay and would stay there again. Thank you for the lovely review. Never had a comment about the beds before and we have always found them comfortable but will happily look at the mattresses. Glad you had a great time and would stay again. Hope to see you soon. This apartment was exactly as advertised and everything I wanted it to be. 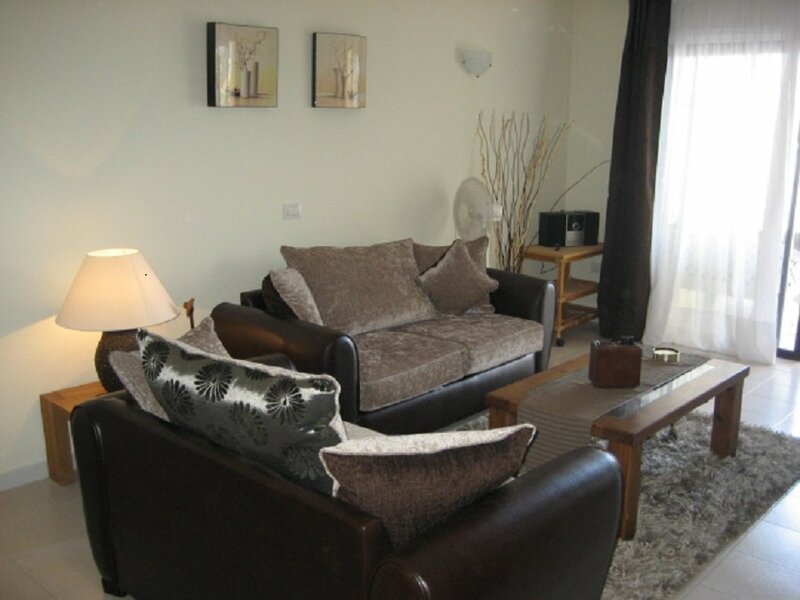 The Complex had ample facilities and was maintained to a very high standard. Thank you for the lovely review and we hope to welcome you again in the future. Stayed here again. 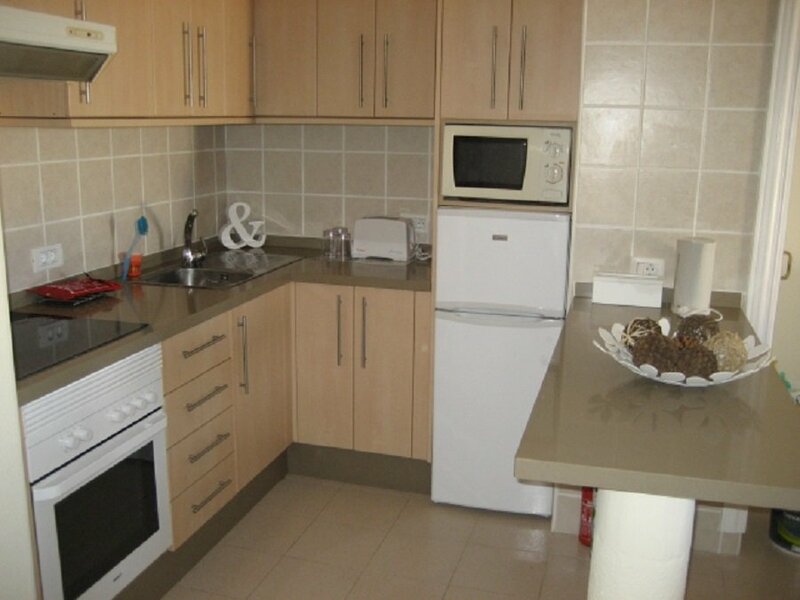 This apartment has been recently refurbished with new kitchen and walk in shower. 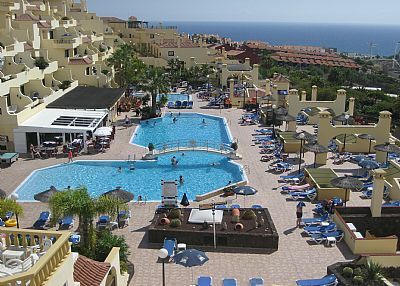 It is a spacious apartment with a large balcony overlooking the pool with great views of Costa Adeje. 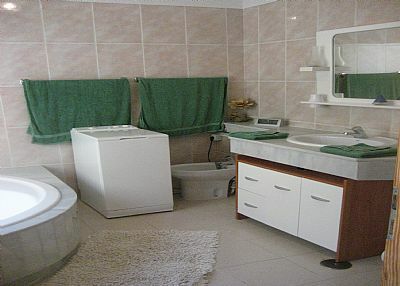 Facilities include washing machine, iron and ironing board, hairdryer and safe. Would definitely stay here again. The only negative is that there is an uphill walk from the beach, bars etc. but It is a nice walk. A taxi only cost around 3 to 4 euros. The apartment is very clean, and decorated to a high standard (the photos are old). 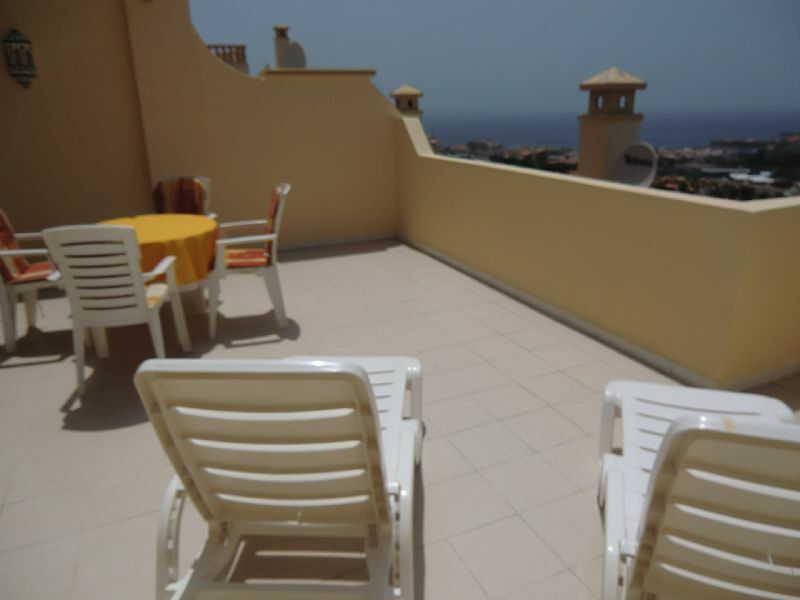 The balcony is the best part of the apartment, very private with views over Costa Adeje. The complex itself is very clean, the staff very friendly. It is about one mile walk to the beach, all downhill. If you prefer to take a taxi back it costs 4 or 5 euros. Looking forward to return in August. There is a small supermarket on site which caters for all your needs or there is a bigger supermarket just down the road.